individual game titles for their respective reviews. these classics are no longer available separately. 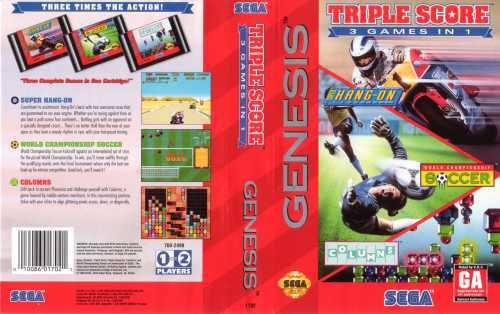 This is probably the best and cheapest way to obtain these original sega genesis classics all in one. My only gripes would be that I have seen this 6pak cart go for some higher pricing in the $10-$20 range before. My second gripe is that you can't use the Game Genie codes for any of the games with this multi cart. 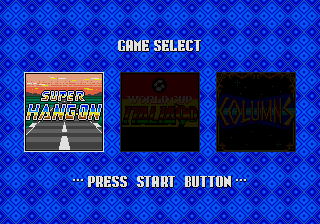 First of all, a small fact: there were two versions of Mega Games II, one had the original menu system, the other one had a more advanced one. 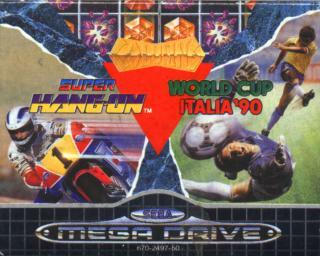 Mega Games I is decent, but the games are generally awful. Mega Games II is decent, with 3 good platform games. 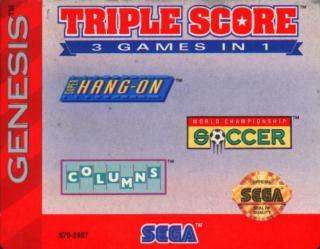 Mega Games III is the best (and rarest) of them all with a good mix of titles. By far the best, and I've been wanted it for years. They are all worth a few quid. Get 'em if you can. m6, I think it was called, had the greatest games...Columns, Sonic 1 and Streets of Rage being included with it made it one of the best multicarts ever. these games aree all pretty fun,super hang kinda sux though. i just obtained mega games 2 volume 2 wich is my best; only 3hits: golden axe, streets of rage and revenge og shinobi! Pretty neat if you dont wanna go out and find 6 games, or if you want less area used up! and they are great games on it! SONIC! GOLDEN AXE! AND STREETS OF RAGE ARE MY FAVES!